Match ends, Queen of the South 7, Stenhousemuir 1. Second Half ends, Queen of the South 7, Stenhousemuir 1. Substitution, Stenhousemuir. Grant Hamilton replaces Ross Meechan because of an injury. Attempt missed. Alan Cook (Stenhousemuir) left footed shot from outside the box is too high. Ross Meechan (Stenhousemuir) wins a free kick in the defensive half. Goal! 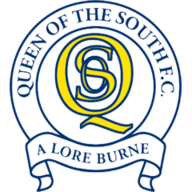 Queen of the South 7, Stenhousemuir 1. Alan Cook (Stenhousemuir) from a free kick with a left footed shot to the bottom right corner. Foul by Dale Hilson (Queen of the South). Kieran Millar (Stenhousemuir) wins a free kick in the defensive half. Goal! Queen of the South 7, Stenhousemuir 0. Steven Rigg (Queen of the South) right footed shot from the right side of the six yard box to the bottom right corner. Substitution, Stenhousemuir. Liam McCroary replaces Stephen Stirling. Fraser Kerr (Stenhousemuir) is shown the yellow card for a bad foul. Steven Rigg (Queen of the South) wins a free kick in the defensive half. Foul by Fraser Kerr (Stenhousemuir). Jordan Marshall (Queen of the South) wins a free kick on the right wing. Attempt missed. Jake Pickard (Queen of the South) right footed shot from outside the box is close, but misses the top right corner. Attempt blocked. Jake Pickard (Queen of the South) right footed shot from the centre of the box is blocked. Corner, Queen of the South. Conceded by Alan Cook. Attempt missed. Darren Brownlie (Queen of the South) header from the centre of the box is close, but misses to the left. Substitution, Stenhousemuir. Alan Docherty replaces Ciaran Summers. Corner, Queen of the South. Conceded by Colin McCabe. Attempt saved. Jamie Hamill (Queen of the South) right footed shot from more than 35 yards is saved in the centre of the goal. David Sinclair (Stenhousemuir) wins a free kick in the defensive half. Foul by Jordan Marshall (Queen of the South). Jamie McCormack (Stenhousemuir) wins a free kick on the left wing. Goal! Queen of the South 6, Stenhousemuir 0. Steven Rigg (Queen of the South) right footed shot from the right side of the box to the bottom left corner. Assisted by Stephen Dobbie. Jake Pickard (Queen of the South) wins a free kick in the attacking half. Attempt missed. Kieran Millar (Stenhousemuir) header from the centre of the box is close, but misses to the right. Attempt missed. Alan Cook (Stenhousemuir) left footed shot from outside the box is close, but misses to the left. Substitution, Queen of the South. Steven Rigg replaces Derek Lyle. Attempt missed. Mark Gilhaney (Stenhousemuir) right footed shot from outside the box is close, but misses to the left. Corner, Stenhousemuir. Conceded by Darren Brownlie. Attempt saved. Stephen Dobbie (Queen of the South) right footed shot from the right side of the box is saved in the centre of the goal. Substitution, Queen of the South. Jake Pickard replaces Kyle Jacobs. Stephen Stirling (Stenhousemuir) wins a free kick on the left wing. Foul by Owen Moxon (Queen of the South). Ciaran Summers (Stenhousemuir) wins a free kick in the defensive half. Goal! Queen of the South 5, Stenhousemuir 0. Stephen Dobbie (Queen of the South) right footed shot from the centre of the box to the bottom right corner. Second Half begins Queen of the South 4, Stenhousemuir 0. Substitution, Queen of the South. Owen Moxon replaces Grant Anderson because of an injury. First Half ends, Queen of the South 4, Stenhousemuir 0. Dale Hilson (Queen of the South) wins a free kick in the defensive half. Foul by Kyle Jacobs (Queen of the South). Alan Cook (Stenhousemuir) wins a free kick in the defensive half. Goal! Queen of the South 4, Stenhousemuir 0. Derek Lyle (Queen of the South) converts the penalty with a right footed shot to the bottom left corner. 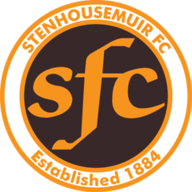 Penalty conceded by Ross Meechan (Stenhousemuir) with a hand ball in the penalty area. Corner, Queen of the South. Conceded by Fraser Kerr. Attempt missed. Derek Lyle (Queen of the South) right footed shot from the centre of the box is too high. Attempt saved. Derek Lyle (Queen of the South) right footed shot from outside the box is saved in the bottom right corner. Goal! Queen of the South 3, Stenhousemuir 0. Stephen Dobbie (Queen of the South) left footed shot from the right side of the box to the bottom right corner. Assisted by Derek Lyle. Grant Anderson (Queen of the South) wins a free kick on the right wing. Attempt missed. Kyle Jacobs (Queen of the South) header from the left side of the six yard box is too high. Stephen Stirling (Stenhousemuir) wins a free kick in the attacking half. Attempt missed. Stephen Dobbie (Queen of the South) left footed shot from the centre of the box is close, but misses to the right. Foul by Grant Anderson (Queen of the South). Goal! Queen of the South 2, Stenhousemuir 0. Grant Anderson (Queen of the South) left footed shot from outside the box to the bottom right corner. Goal! Queen of the South 1, Stenhousemuir 0. Dale Hilson (Queen of the South) right footed shot from the centre of the box to the bottom right corner. Attempt saved. Andy Dowie (Queen of the South) header from the centre of the box is saved in the top centre of the goal. Mark Millar (Queen of the South) wins a free kick on the left wing. Foul by Mark Gilhaney (Stenhousemuir). Attempt saved. Dale Hilson (Queen of the South) right footed shot from the centre of the box is saved in the centre of the goal. Foul by David Sinclair (Stenhousemuir). Mark Millar (Queen of the South) wins a free kick in the defensive half.